By Helen Wang, published February 27, 2017, 12:40a.m. In 2007, when studying in Beijing for my post-grad, one of the things I liked to do was browse the bookshops and best-seller lists, looking for the hottest nuggets of contemporary culture. I have always loved horror stories, whether it is the ghosts of my childhood from Liao Zhai (Pu Songling’s Strange Tales from a Chinese Studio), the dark Victorian tales I read in my adolescence, or the fantastic array of gothic fiction I studied at university. When I chanced upon Tian Xia Ba Chang’s Gui Chui Deng series (literally, “Ghost Blows Out the Light” series; AKA Chronicles of the Ghost Tribe), the promise of adventure steeped in myth, history and fantasy immediately enticed me, inspiring the same sort of excitement I felt when picking up a Wilbur Smith or Elisabeth Peters. Reading the first novel, Jing Jue Gu Cheng (The Lost City of Jingjue), I was struck by the extent to which this gripping tale of life-and-death encounters with rare monsters and millenarian mummies was encased in alternative histories, indigenous sciences, ethnic culture, legends and folklore. Jingjue was a real kingdom, one of the 36 ancient cultures along the Silk Road, and associated with the ruins of Niya, south of the Taklamakan Desert in Xinjiang. When the British archaeologist, Sir Aurel Stein, reached this abandoned city, he compared it with Pompeii. Taklamakan means “go in and never come out”, and the site is located within this desert that is prone to whirlwind storms and inhospitable to vehicles. It took multiple expeditions over 100 years to finally excavate the underground tombs, buildings and dwelling places. How the once prosperous kingdom met its grim demise remains unknown. It is often imaginative spaces like this, existing halfway between reality and fantasy, and charged a sense of the unknown, that produce the best mystery and adventure stories. I was fascinated by the protagonist, Hu Bayi. His family history and life runs through the story, and offers a glimpse into China from the 1840s to the 1960s: through the warlord era, the Opium War, life as an “educated youth” in Mongolia during the Cultural Revolution, the secret Japanese military bases in Manchuria, and China’s anti-nuclear measures during the Cold War. Even more intriguing, Hu Bayi is a transgressive protagonist, a tear-away from the usual straight-and-narrow Chinese hero. Equipped with nothing but an in-depth family knowledge of Feng Shui and Chinese tombs, and an extreme will to survive, he is not a son to be proud of. Irredeemable and irreverent, he lives the life of a jaded ex-soldier haunted by memories of the deaths of his comrades, with no ambition other than to get by and have adventures. His loud-mouthed side-kick, Pang Zi (literally “Fat One”; Chunk) is also an unconventional character type. A fat Chinese goodie is almost an oxymoron. Even if you have no taste for Chinese history, nor the character development in this story, the mixture of knife-edge horror, the Mongolian Hong Hou beast, the blue fire bugs in the ice cave, the pit filled with thousands of one-eyed snakes, and the psychological terror such as hallucinations induced by the corpse flower, will have you turning the pages! The immense popularity of this series within China is a remarkable phenomenon in itself, made possible by the rise of internet publishing in the country. The author Tian Xia Ba Chang (a pseudonym meaning “The Lord Under Heaven Sings”; his real name is Zhang Muye), takes a keen interest in archaeological programmes on TV. Writing under his pen name, which he used for online gaming, he created stories to entertain his friends, and published them online. There was a stunning response: 6 million views on his blog. 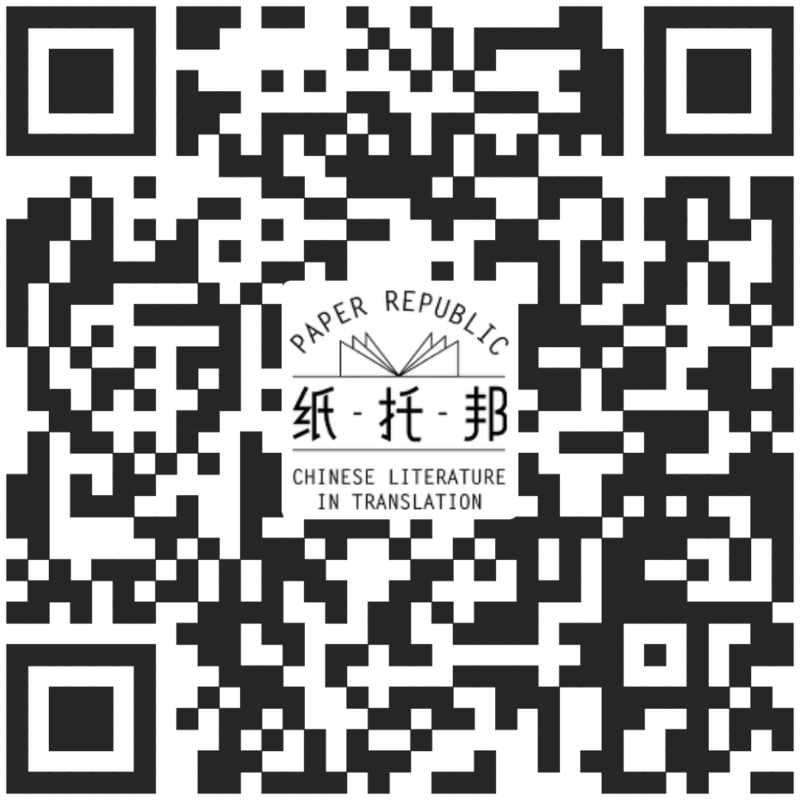 Within a month, the publisher Qidian had purchased the rights, and the novel was more or less an overnight success overnight: “The Legend of 2006”. The first four novels were published in 2006, closely followed by a manhua (comic book) adaptation in 2007, illustrated by artist Lin Ying, renowned for her refined style in eastern fantasy works, in collaboration with City Comics. In 2009 another manhua was released, this time with a more cartoonish and comical adaptation of the story by Yao Feila. Whilst Lin’s manhua was still lovingly published in print, Yao’s work took off on the internet and on smart phones, where volumes were available as story book apps. This was followed by the online computer game “The Unofficial Chronicles of the Ghost Tribe”. After a brief pause, two films were released in 2015, one based on a chapter in the first novel, whilst the other, “Mojin” (Searching for Gold), was based on the later tales, and has recently been released internationally. In just under ten years, what started as a casual creative writing exercise on a personal blog, became a global phenomenon, enjoyed by millions worldwide. Like the ruins of ancient Egypt and India, which inspired “Indiana Jones”, China provides a wealth of native materials for tomb adventure fantasies. The ancient Chinese too believed in the afterlife, and the wealthy held elaborate funeral rites to prepare themselves for it, taking treasures, precious stones and, sometimes, even living servants, into the grave with them (the most famous being the First Emperor and his terracotta warriors). According to Chinese lore, there was a military position in ancient China known as Mojin (literally “searching for gold”; treasure-hunter). It was said to have originated from the Three Kingdoms era (AD 220-280), when Cao Cao sent a whole squad to excavate large tombs in order to find valuables that could be sold to feed his troops. The Tang (618- 907) and Song (960-1279) Dynasties were golden times for the Mojin, during which many grand tombs were found in the Henan, Shanxi and Hunan regions of central China. Right up until the People’s Republic, there were four major clans that operated in the trade: they were known as Northern, Southern, Eastern and Western clans, or the spirit-respecting Mojin (Ghost Tribe); the battle-mechanics, Xieling; the charm-wielding Faqiu; and the earth-moving monks, Banshan, respectively. This cultural trend for archaeological fantasy is not exclusive to China, but a global one, as can be seen with the constant reinvention of both “Tomb Raider” and “The Mummy” films at around the same time. Within China, it was ripening into a full genre. Hot on the heels of the first Ghost Tribe novel, came Daomu Biji (The Grave Robber Chronicles), by Xu Lei. Consisting of nine novels published from 2007 to 2011, the stories generally follow a plot pattern of a planted seed device, usually in the form of a rare, inherited book, a near-death encounter, or a mystical object, that leads, often after a lapse of time, to the current adventure. Whereas the Ghost Tribe series has a multi-layered framework in which the narrator traverses between adventures of his past military campaigns, and an archaeological expedition in the present-day, interspersed with flashbacks of the other characters, and musings on tomb architecture and Mojin traditions, the Daomu series tends to offer much more straight-forward adventures around creepy locations, leaping monsters and other traditional horror scenarios. Both series offer an amazing insight into China’s creatures of legend and its view of the paranormal. The Ghost Tribe stories are more historical fantasies, whereas the Daomu stories are out and out thrillers. After I returned to London, I heard about the American “Daomu” series that was published by Image Comics in 2011. My research into Chinese deities brought me back to these novels again, with their zombie queen reinterpretation of the goddess Xi Wangmu, Great Mother of the West. These new stories had been created for Image Comics specifically for English readers. It is a collaboration between the novel’s author Xu Lei and writer Colin Johnson, and features art by Ken Chou of Concept Art House. The comic begins with Sean Wu, a naturalised young Chinese American who emigrated with his mother to Detroit, being called to a meeting with his father after ten years of estrangement, only to see him murdered right before his eyes by a monster. Carrying out his father’s last wishes, Sean returns to the family home in China, where he is initiated into the Daomu, a group of die-hard tomb robbers. Together, they set off for the Palace of the Seven Stars, in Shandong, where a medieval general’s tomb holds the secret of eternal life, and the reason for Sean’s father’s death. The artwork is realistic, in an over-painted fashion, with heavy black spotting creating a very moody and edgy tone. The detailed depiction of the characters offsets with softer, painted style backdrops, where panoramic mountain scenes resemble gorgeous ink wash paintings. With a Chinese artist, objects such as the traditional architecture, calligraphy on the gold threaded silk scroll, old photographs, missing pages of the journal are depicted with a pleasing accuracy of detail. Early in the story, Sean is given his father’s grave-robbing journal, intended to forewarn him of the troubles ahead, but, due to the fast pace of the adventure, it becomes a running commentary on the situation. The bold, brushstroke type in which extracts of the journal are printed, along with panels depicted as distressed and torn, help to distinguish and maintain its separate fateful voice, contrasting with the dialogue, and the narrator’s anxious, incredulous tone, adding a sense of impending doom through the story. Interestingly enough, and probably spurred by the new Western series, six of the original Daomu novels have been translated into English by Kathy Mok, and published by Things Asian Press. Looking at the Daomu and the Ghost Tribe novels, archetypes within this very Chinese genre are beginning to emerge. The older, authoritative character, who acts as guide to the tombs, but may or may not be acting with ulterior motives, can be found in the professor in Ghost Tribe and Uncle Tsai in Daomu. Both Shirley Yang (Ghost Tribe) and Lyn (Daomu) are the cool-headed female, existing in the minority, but whose combat skills and motivation, having lost someone dear in the tombs, make them an equal to the male protagonists. Another archetype is the chubby supporting character, Pang Zi and Fatty, who serves as the traditional comedy sidekick, who says what everyone else is thinking, providing humour when the mood needs to shift. The comic Daomu is not only a journey of archaeological exploration, but one of self-discovery. As Sean embarks on the expeditions, he is turning away from the life he knows in the US, and discovering his Chinese heritage. Crossing the canyon on the narrow cliff edge at the start of his venture, is a ham-fisted representation of the precarious state of his mind. “One week ago, my life changed. I made a decision that would turn everything around. Everything I had ever felt. All the pain. All the sadness. All the undetected rage - had prepared me for this moment.” Having “taken the plunge” and eventually come out alive, his outlook is irrevocably changed from only believing in a Western way of total self-determination, to also having a Chinese sense of the inevitability of fate. “I used to believe people made their own destinies, which is why my life had gone nowhere”. The complete story arc is impressive, and as new tombs and artifacts are discovered, so are the true motives of some key characters. The plot springs traps on the reader just as unexpectedly as our heroes backing into a secret room, or unleashing some ancient defence. The twists are unexpected, and paced well, and the reader becomes as eager to see the truths about the Daomu clan, and Wu family, unearthed, as they are for each treasure or coffin. Daomu consists of eight volumes in total. I would recommend getting the hardback deluxe graphic novel published in 2014 with all the extra trimmings. It’s clear that the producers have spared little expense to enhance the reading experience. With the name of this graphic novel aimed for the global market, I feel that the term “Daomu” is now firmly established as the English name for this entire genre, in much the same way as Wuxia has become for fantasy martial arts. Xu Lei has been called China’s Stephen King, and whilst I can imagine King’s fans loving these stories, I think their appeal is wider still. Brigitte Duzan, February 28, 2017, 2:09p.m.